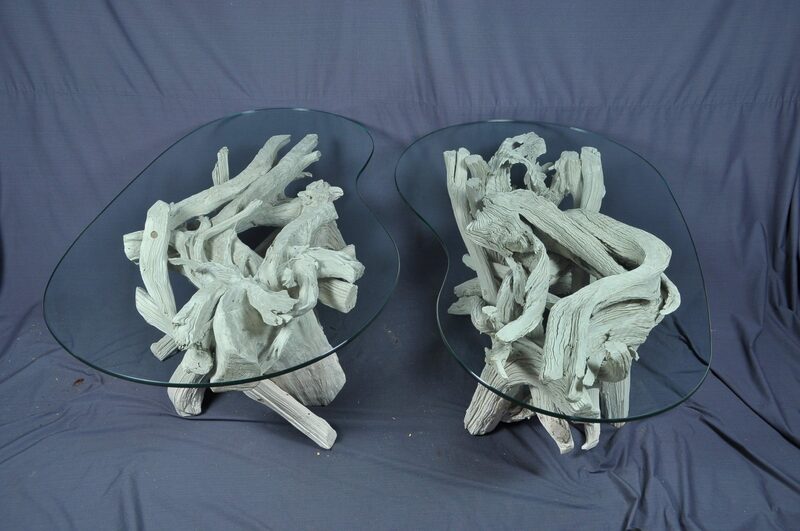 Paul contacted me through Custommade to see if I could create a pair of matching pair of driftwood coffee table bases that would accommodate his kidney shaped glass tops. He sent me a template of the glass which turned out to be of similar shape & size to my own kidney glass. 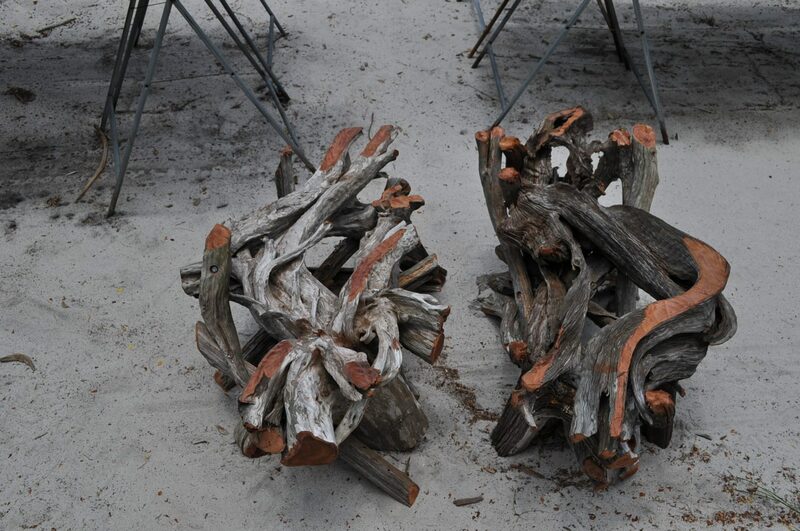 I have a very large number of interesting driftwood stumps, so it was just a matter of finding the right ones that would compliment & mirror each other. As is my practice, I send images to my customers of their pieces from start to finish. The coffee tables are constructed & perfectly leveled. 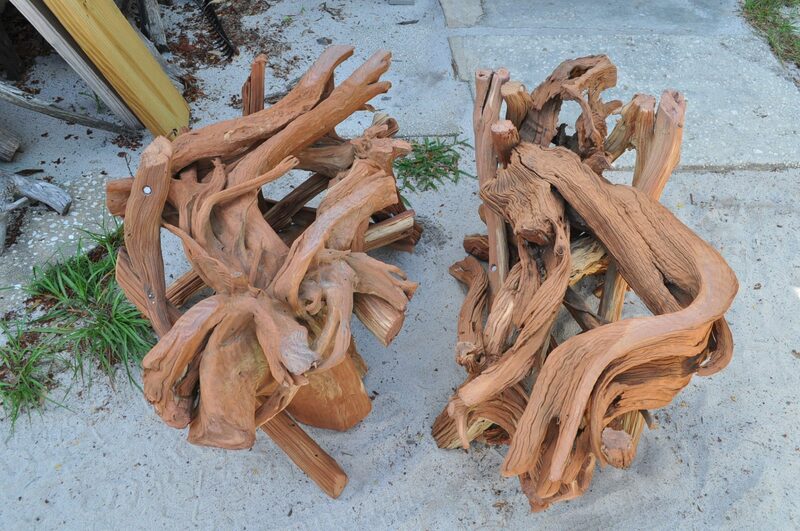 Next is to have them sandblasted which gives them more of a look of continuity. Paul decided to go with the whitish patina (see previous post) so I was able to finish them much sooner than if I had to wait for the sun to weather them to the silver gray finish. I built a couple of sturdy crates & had them picked up on a Friday. They were delivered to Fenwick Island, Delaware on Tuesday & several days later I received some images of the tables new home. Absolutely stunning! Always a perfect job! Well done! And great idea by client or designer to do (2) tables instead of 1 large one. Thanks Kate. 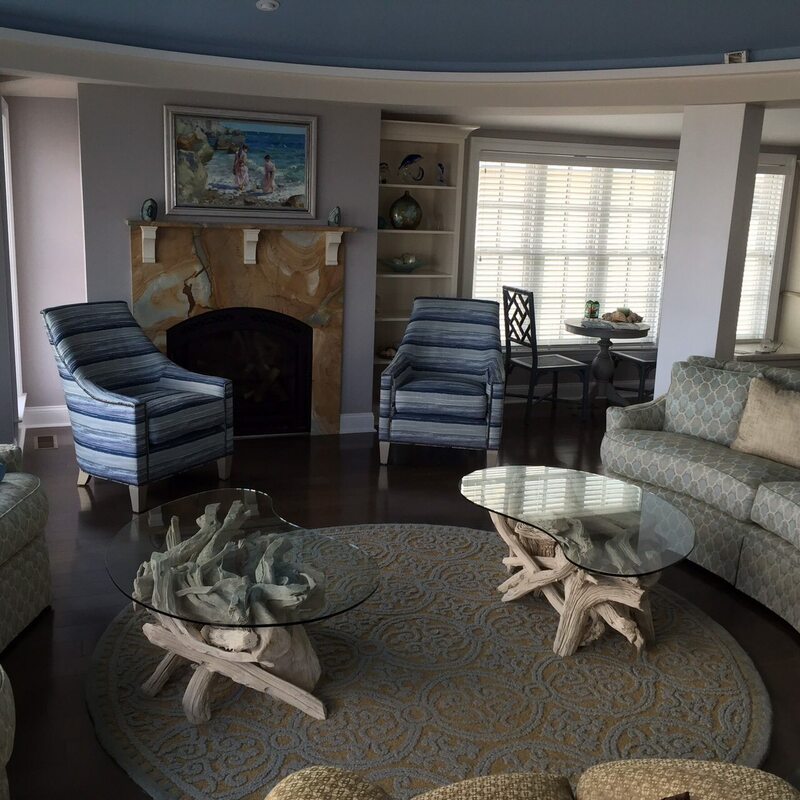 I initially thought it was going to be the equivalent of a large roundish table with a separation in the middle.It wasn’t until I received the pictures did I realize that instead each table was placed in front of a couch & they mirrored each other. To my knowledge, it was the clients concept.